This week's sketch is based on a layout by Susan Weinroth. I love it for so many reasons, but mainly because it has circles in the shape of a grid. It's a simple sketch to follow and you can fill the circles with as many or few photos as you'd like. Notice how Susan used 2 different sized circle punches to add visual interest. The punches are approximately 1.5" and 1", but you can vary the size according to the supplies you have on hand. 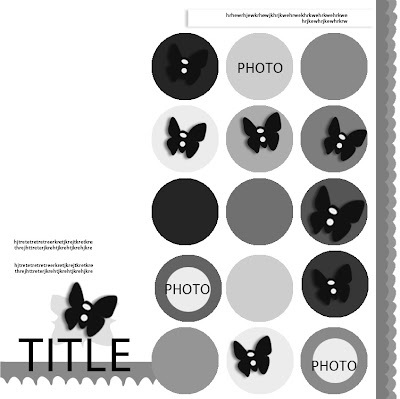 Also, Susan added a butterfly punch with some rhinestones to mimic the Jenni Bowlin pre-made butterflies as in her title area. I love Susan's layout. this is a great sketch, thanks for sharing. Wow! What a gorgeous, inspirational page! :) Yummy colors & design! 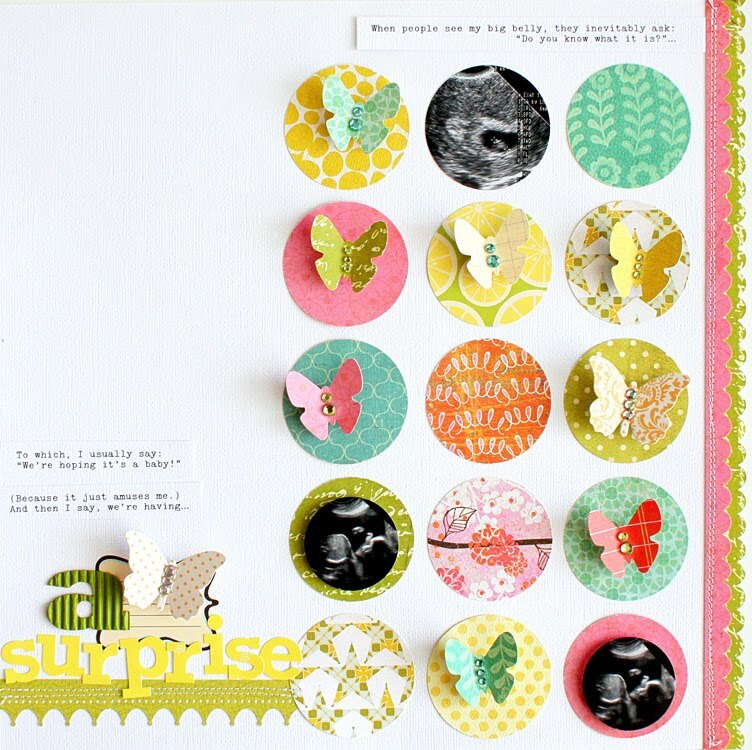 I loved this layout, it was one of my favourite's from this month's gallery. Here's my take on it. Here's my take: http://www.studiocalico.com/forums/galleries/show/23179 Not what I usually do, so fun! This sunday sketch inspired me. Thank you! here's mine...this was a fun one! I'll play...here's my go at it. Last minute, but here is my take ob the sketch: http://www.studiocalico.com/forums/galleries/show/23288.